Pretty sure some of you never thought I would ever post these final photos of the the barn. Nevertheless, they are finally here!! YEAH!! I don’t even know where to start today, so let’s just take it from the beginning. If you are semi new to the blog, I have been working on renovating an old horse barn into my working studio/home. It has been a LONG, and well, tiring process, BUT I am so excited with the outcome and to finally be able to share photos with you guys after all this time. 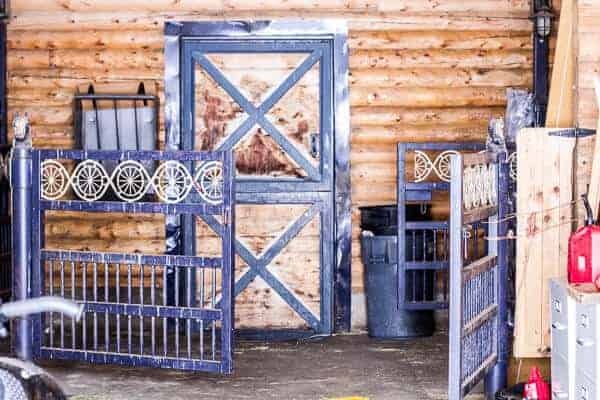 If you do happen to be new to the blog, you can read all of my previous posts on the barn renovations here. I was thinking that since I have final photos for you guys today, that I would also include a few photos of the barn before I started the building process. I always think it’s fun to see before and after photos together! Clearly, we get a lot of snow. Told you I wasn’t joking around about that!! The photos I have today were all taken pretty recently, so no snow. Just pretty colors, flowers and sunshine. Just the way I like it! I feel like I should tell you all that this process has not been easy. Actually, it was kind of miserable, and I don’t think I ever want to renovate a home again. UGH. FYI, trying to get people to work is beyond hard. I don’t know if this is because I live in a ski town and every time it snows workers just don’t show, or if that’s just the way construction works. Either way, I am SO done with building anything for a while. I honestly could not be happier the work is over! Construction has actually been done since late May early June, but it took me a while to get things like furniture, life essentials…and my sanity, in place. There are still rooms that are not totally complete. For instance, I really need a new desk/desk chair (I have had this same desk since I was 13!! ), my kitchen table/dinning table/fancy table still has no chairs, and all of my doors really need to be replaced…yes, I am serious, but I’ll get to that in a bit. Other than that and few small items, the place is pretty much done. Looking back at some of my older posts, I am SO relieved to not be living that way anymore. I mean, I certainly complain, but thinking about it now, the last three months have been kind of like heaven. No workers, no messes, no money being thrown left and right – as if it literally grew on trees. Peaceful bliss I tell ya. All that said, I am SO happy to have my own space to work, hibernate, chill, mess up, scream from the top of my lungs (cause sometimes you just need to) and dance around in the kitchen like a fool… cause no one is watching! It’s awesome, and the barn has pretty much everything I need at this point in my life. My family is SUPER close by (think neighbor close, they are just up the hill). I see my dad daily for our cleaning session at the end of the day. Mom often stops in for lunch (breakfast for lunch is her favorite). After school, Asher is my little partner in crime. And you never know when my brothers may appear, they are always randomly stopping in…sometimes they even surprise me, like with a cute little two month old black cat. <–Truth…so excited to tell you about him, but one thing at a time. We will talk more about all that Monday. The brothers also seem to really like my couch and TV…which I have yet to turn on myself, or even sit on for more than ten minutes. But it’s cool, because when the time finally does come for me to have that veg out day on the couch, the brothers (and their friends) will have it all broken in for me. Cool. I mean, I guess it’s nice to know they are really just looking out for my best interests. OK. Thinking I should break down each room for you guys piece by piece and tell you my likes and dislikes/things I want to change. …one: all the doors leading in from the outside need replacement ASAP. Mom and I REALLY wanted unique doors, but we wanted then for cheap. Long story short? We got a cheap price, but are greatly paying now. All three exterior doors are literally falling apart at the seams. It’s really not a good situation and they need some serious attention before the cold starts coming in full force…better hurry up on this one…the snow is coming. …two: the bathroom is actually one of my favorite rooms. It’s just clean and simple with the cutest vintage vanity that I love. I also LOVE my shower. It’s big, I am small and it’s amazing. …three: the family room/chill room/very informal dinning room. This room still needs a bit of work, but I am really liking my long comfy couch…or at least it’s looks. I still need a new rug and some stools for that long, skinny and tall table. Kind of wishing the table was not so tall, but I do like it, and it’s different. Also a part of this room is my GORGEOUS stairs. I love these stairs, they are big and bulky, dark and perfect. The horse head at the bottom of the railing creeps me out though, totally not my thing, but my mom and dad are so into it, so I just said whatever, I can deal. …four: the kitchen!! So much to say about this space. I love it…and I hate it, but I mostly love it. The thing I really hate are the cabinets. They are just not my style whatsoever. I really would have liked a more simple open shelving and a completely different color. UGH, the color is the worst. Other than the cabinets, my kitchen is perfect. I even like my now heavily stained marble counter tops, and my double oven pretty much makes my day on a daily basis. LOVE. 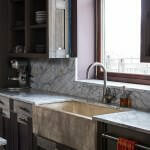 Other things I love are my big sink, my huge island, my fridge and my windows, best kitchen sink window ever. …five: the pantry. I would say that 94% of my day is spent in this room. It’s where I shoot my photos, gather my props and pick out my food. I live in this room and I love it. It is totally not perfect, but it’s pretty close. Things I would like to improve in the pantry…the shelving space. Always, always need more shelving space. …six: when I am not in the kitchen, I am at my desk. Like I said before, I need a new desk, but my office itself is great, bright, fun and right next to the kitchen, which really works out amazingly well. I even have a nice view of the goats! 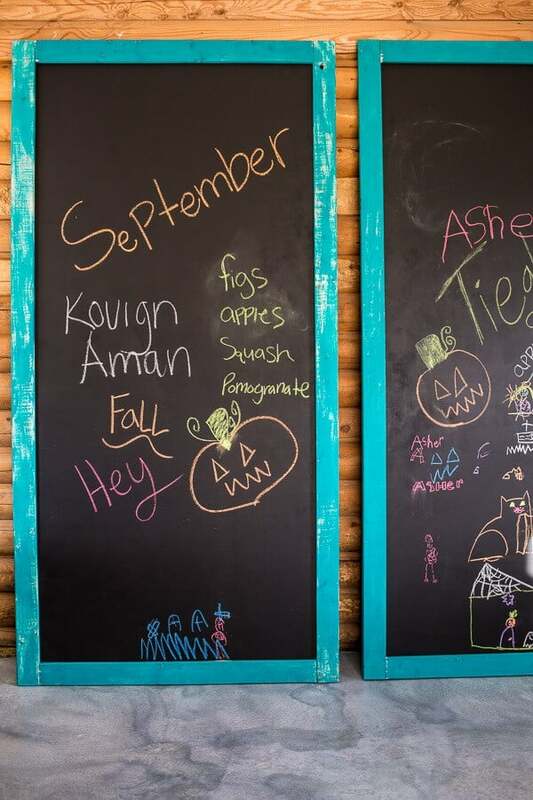 I also love the two giant chalkboards that my dad and brother made me. They are currently a little messy because Asher has been scribbling on them, but I love jotting down ideas and hanging inspiring photos on them. They are one of my favorite pieces! …seven: my bedroom! It’s small and cozy, and I really wish I spent more time up there. I love the way this room turned out. I still need a dresser and a lamp, but other than that it’s done and is perfect. Also, my bed??? It’s the best! Someday I will spend the WHOLE day just snuggling inside those covers with movies galore. There is also a little space to the right of the kitchen leading into the pantry. I thought I would use this area to shoot photos, but it just turned out to be too small, and I like the lighting in the pantry better. This area is now pretty much overflowing with boards and various wooden boxes to shoot off of. And well, that’s pretty much it!! Everything is simple, but that’s me. I like simple and clean!! Overtime, I really hope to add more personal touches and decor that make this place really fun an inspiring for me to work out of!! For now though, I am just happy the fam and I got through it all alive. I would love to hear what you guys think of the space and or any comments/suggestions you may have for me! Hope you all love the barn as much as I do! OH, and AND, my brother Kai…and Blake…and Red made you guys a quick video tour of the barn. They really wanted to do an MTV cribs style tour, so I let them have pretty much full rein. YIKES. Somehow, at the end of the video they talked me into getting on a dirt bike. I have not been on a dirt bike in quite some time…but hey, I still got it in me! In fact dad says I kill it. Nice. But I promise, we are not as hillbilly as this video portraits…or maybe we are?? Home is a place where you can be YOURSELF and this feels so good. Thank you so much! Hope you have a great weekend!! yay, finally!! the pictures are so gorgeous and as i was scrolling through them, i was going to be like, wow, it looks like it’s from a magazine (and it is!!). so gorgeous. i’m a sucker for kitchens, so those shots are probably my favorites. and sorry to hear about the doors- hope you get those fixed soon! winter is coming (just started “game of thrones” and it’s so intense but really interesting at the same time. perfect to watch on the broken in couch (; haha). Heather! TAHNK YOU! You comment is so kind and I loved reading it!! Have the best weekend!! First of fall Congrats, Tieghan! Images are really impressive, I want to give a suggestion these images are very heavy taking very long time to open, Its better if you will optimize these images. Lost what I wrote—-love the barn. What a stunning makover, you have created a beautiful, tranquil space. The barn is BEAUTIFUL!! What an amazing space! Love your blog, the recipes are always so wholesome and delicious – perfect for family dinners and eating togethe! Hey, that is such a nice space. I think brothers might shift you out cause you can tell they love it too. Yes, the stairs are just fantastic with those huge bolts in them, you pantry, bedroom oh just everything. Have fun. Thank you for sharing it with me. It looks so good, everything so perfectly in place and such a warm, cozy, homely feel!! Thank you so much, Miranda!! 🙂 Have a fun weekend!! What amazing spaces I am in love with your kitchen and green rolling table! . 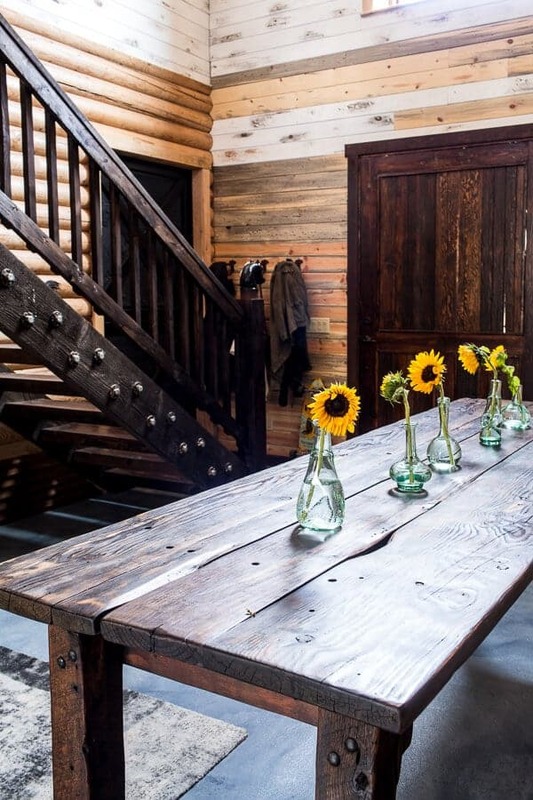 You are living my dream to live in the mountains in a converted barn. Congratulations on being finished it is really beautiful. wow, THANK YOU!!! Hope you have a great weekend!! AWESOME! Well worth the wait, I’d say. Thanks so much! Have fun a weekend!! Absolutely beautiful! Congrats on your finished project, may you have many more great meals and years there. It’s just gorgeous Tieghan! Congrats! Thank you so much, Rachel!! Have a great weekend!! This is awesome! The only thing I would suggest is a small utility cart, since you seem to move back and forth from kitchen to pantry quite a bit. That is a great idea, thanks!! Have a great weekend!!! Tieghan, I am in awe of this wonderful space! 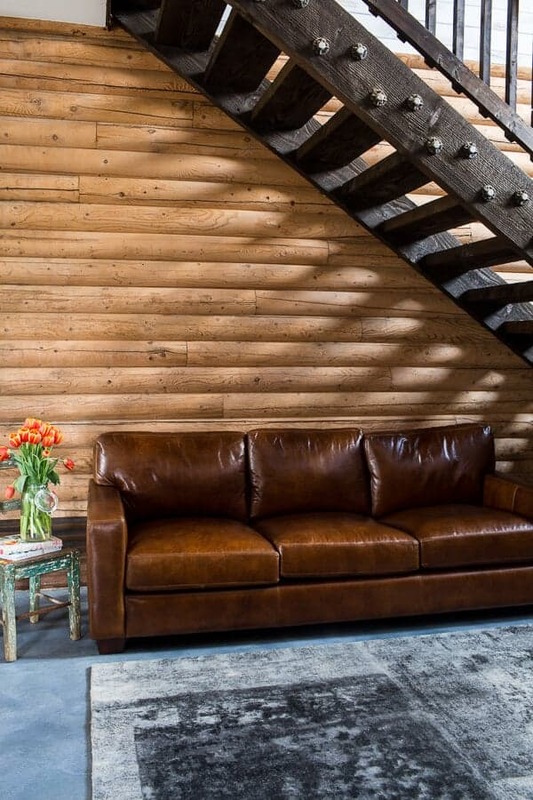 How amazing to transform the barn just for you. I would never want to leave. It’s so cozy and so inviting! Thank you so much, Melanie!! Means a lot have a great weekend! 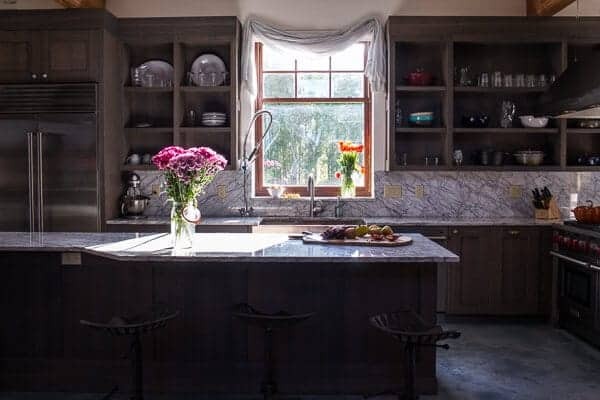 The barn is beautiful and the kitchen looks amazing. The kitchen cabinet color seems to fit in perfectly. What type of sink do you have that you like so well? Congratulations! I’m so happy for you! 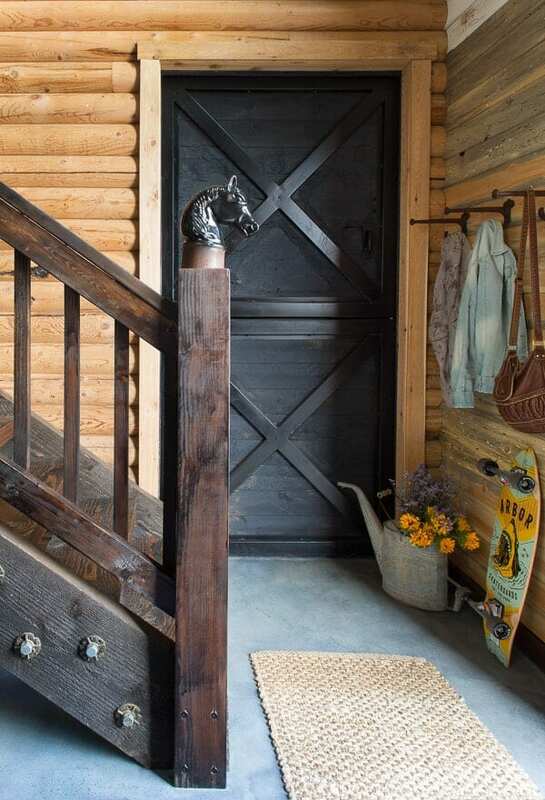 The barn is BEAUTIFUL – and those stairs – gasp-worthy. How big Asher has grown! And your brothers are SO cute and obviously proud of you and your new space – too funny. You have a lovely family – great article too btw! It was fun to read! Oh MA GAWD! I literally had my mouth open the entire post drooling. This is so stunning. CONGRATS! I LOVELOVELOVE this post! I’ve always been in complete awe of your jaw-dropping photos and mouthwatering, innovative recipes but it was so nice to actually *meet* you (albeit via video) and to see for myself what a down-to-earth, tremendously talented and incredibly dedicated person you are. The last scene in the second video with you whizzing away on the motorbike was too cute for words! 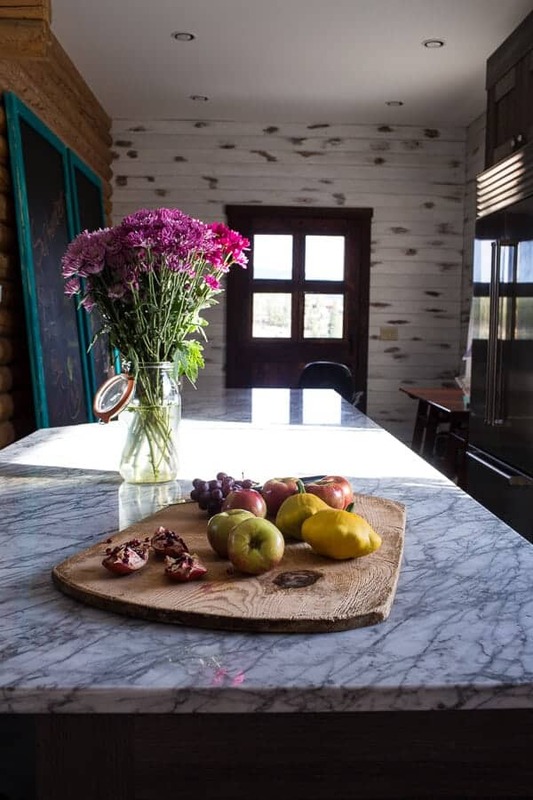 Thanks for sharing not only the process of the barn renovation but a slice of your everyday life as well. I’m eagerly awaiting your cookbook and I totally foresee a Food Network TV show and Michelin Star restaurant someday as well! 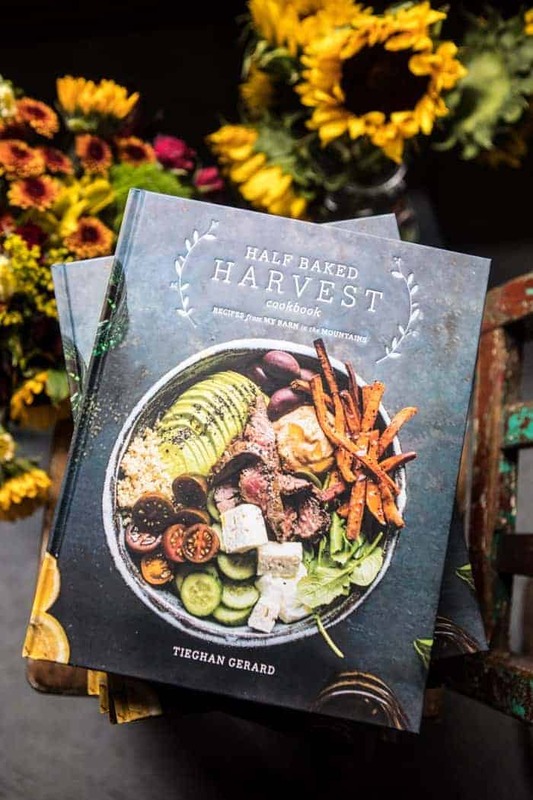 Again, major congrats on the barn completion, the cookbook and media features! SO Happy that you enjoyed todays post, make me so happy!!! Honestly, you are making my day! THANK YOU! Tieghan! Congrats on the completion of the barn! It looks fantastic – love the stairs, flooring and kitchen – well I really love EVERYTHING about it and when can I move in? Tieghan, you did an amazing job! I loved the video and hope you start adding them more often. Thanks Piper! Move videos coming! Wow. Congratulations on the (mostly) finished product! It’s absolutely stunning. I love the ceiling. And the kitchen. And holy cow that pantry! Very, very nice job. Loved the video from your brothers too. Thank you so much, Julie! Have a great weekend!! I love everything even the horse head. All that beautiful wood and those windows it’s perfect. The pantry with that ladder I would love to have that space. You did a great job decorating it and keeping everything simple but rustic and still elegant..awesome. The picture of you walking up to the barn with the long skirt reminds so much of my favorite show ever…Little house on the prairie. So happy for you..
OMG Tieghan!!!! You did such an amazing job!! What a beautiful home!! You are so unbelievably talented at everything you do!! Congratulations on a job so well done!!! Watching the video again!! I love this! I am in awe of what you have done to this barn. Its simple and cozy and every room has amazing details to look at. I’d never want to leave. Thank you so much, Lili!! Your comment is so kind, it means a lot! Tieghan this is amazing!!!! Totally pantry envy right now. So beautiful – and that video was super cute haha! I’d die for that kitchen! And the pantry is just the dream. Awesome work! Thank you so much, Sandra! Hope you have a great weekend! Would you please let us know where you got your beautiful furniture pieces in the rooms kitchen and the bathroom? Did u use an interior designer? Does the barn need to be reinforce to make it livable? HI! The bathroom furniture is from a antique store and I am not sure what you mean in regards to the kitchen furniture. Can you explain? I did not use an interior designer. We did have to insult and do some work to make the barn livable. 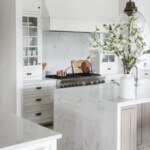 I’m really new to your blog, but I keep visiting it because I am just in love with the kitchen cabinets and that window! what company designed those cabinets…your house is a real inspiration. I love the charm in it and you have an eye for interior design! How wonderful Tieghan! Your home looks absolutely beautiful and that pantry! I love everything about it. Congratulations! THANK YOU! Have a great weekend, Erika! Tieghan, I LOVE IT!!!! Like really LOVE LOVE LOVE it all. The Barn, the videos, your blog *sigh* you have my very profound admiration for all you do. Big thumbs up for your brothers, too for making such an awesome video. Please ask them to film you while you take your food photos. They’ll become rich with just me watching them over and over and over again!!!!!!!!!!!! Haha!! THANK YOU! You comment made me laugh! Thank you so much, Kathryn!!! I despise my clothes…I need a new clothes SO bad! LOL! THANKS and have a great weekend! Tieghan, that is the most beautiful workplace I’ve ever seen. Congratulations to you and I hope for many, many great recipes and photos to come. Thank you so much, Lisa!! Have a great weekend!! That video had me in stitches! Your brothers are too cute. Loved being able to see you shooting, too! Haha! They are the best! Thank you so much, Sarah!! It’s so cute!!!! Jealous of how much space you have. And oh my god, that long dining table? Your prep space with the open shelves??? You’re killing me!!! Thank you so much! You are so kind to comment, it means a lot!! I honestly wish I could share the space!! Have a great weekend! Loved the video. Gorgeous space!! Hard work on that barn, but the result is amazing!!! Liked the post, the pics, and of course your home is beautiul… but I loved the video. Your brothers are lovely. They made a good work on the video too. Thank you so much, Aisha!! It means a lot! What a FANTASTIC space you’ve created for yourself! Thank you so much for sharing it with us – and I’m going to share it with my followers as well! Your food is fantastic and I am so looking forward to your new cookbook! Thank you so much, Angela!! Hope you have a great weekend! Oh and thank you for sharing!! AWWWW!! Thank you so much, Steph!! And no way! Too cool that we both live in summer! 🙂 Have a great weekend! What a fun bunch you and your brothers are! I absolutely love your barn (those kitchen counters are amaaazing). Congratulations on all your successes and I am so excited for your book and everything else the future holds!! Thank you so much! Have the best weekend!! Just found your blog. When I went to your Pinterest page and saw where you live – my most favorite place on earth. Spent many, many vacations there. 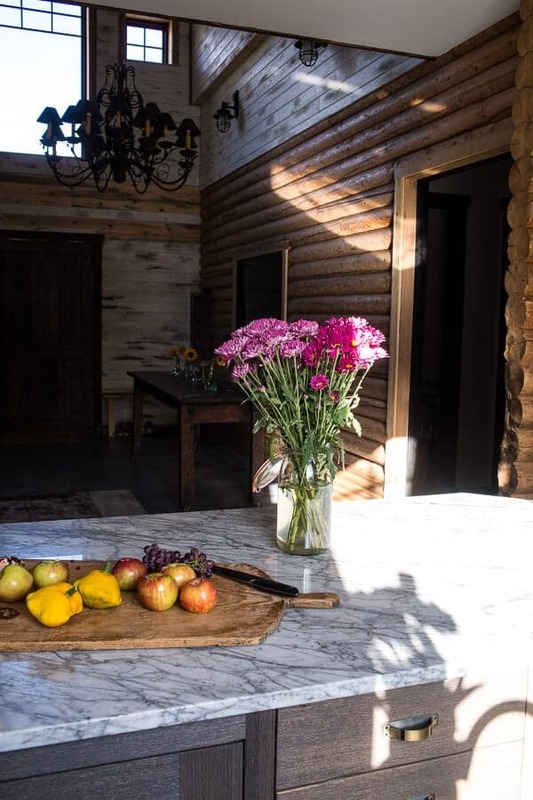 Your barn renovation is beautiful. All those wonderful windows looking out at the beautiful scenery and mountains. Wishing you many happy years of contentment there. Don’t worry – little by little everything will come together. Hehe!! Thanks so much, Kathy!! So excited to have you as a new reader! The barn looks absolutely incredible. You are such a genius! Your talents go far beyond cooking as this space is simply stunning. 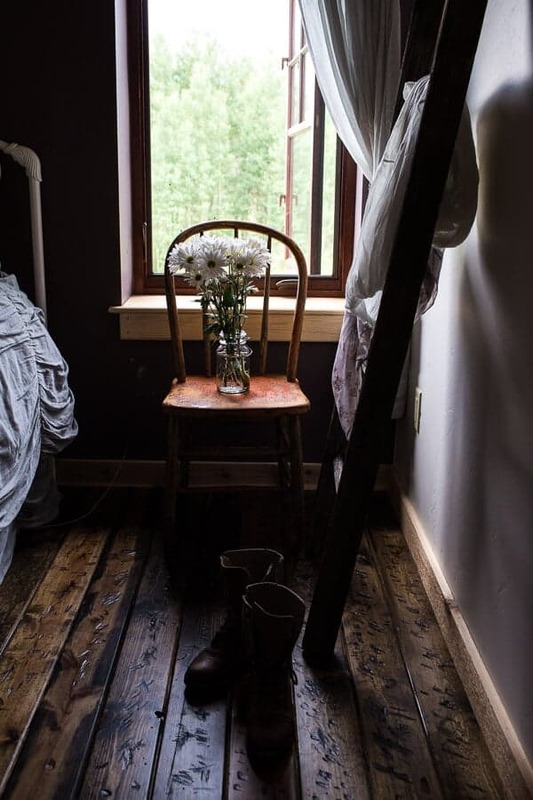 I love the simple decor and rustic elements. You’ve totally outdone yourself on this one. Ahhh! It’s so beautiful and kind of magical. Such an incredible space. Seriously lusting over your kitchen and pantry. If you’re ever in need of a roommate 😉 haha! And that video of you is too cute! I’d love to see more videos with you lovely lady! How incredibly beautiful! You deserve it all. You are such a hard worker and so extremely talented. I am sure that you will enjoy it for many years to come. Congratulations! Oh my gosh, Tieghan – this looks like something out of a magazine! Your kitchen is to die for. 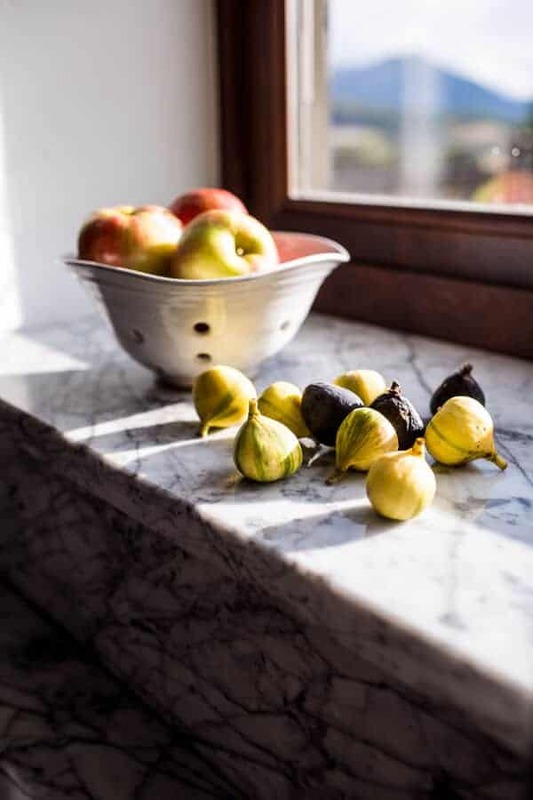 Love those countertops. Congratulations on such a beautiful renovation! THANK YOU, Heather! Hope you have a great weekend! Gorgeous!! I had to wipe the droll off my IPad when I saw that pantry! Really happy for you! Isn’t it great when the remodeling is finished?! Hehe! Thank you so much, Deb! Have a great weekend! Wonderful! Am very happy for you…yes, construction/remodel can be crazy-making. Great video but I have to admit, my favorite part is the very end! Love that you included your cute goats!! When I get a yummy new recipe and pictures, I can visualize you putting it all together. Thanks again. Thanks Sharon! Have a great weekend! I love your video!! Your new place totally deserves multiple magazine features! It’s unique, charming, cozy, and full of character. Your pantry is a dream! What a beautiful space to work in. All of that hard work and headache completely paid off! Oh my goodness, this is SO beautiful, Tieghan!!! I LOVE all the wood and the rustic barn-ness, and everything you’ve done in it looks stunning, like it’s from a magazine or model home! I think the pantry was one of my favorites. That ladder, though…totally beyond cool!! I guess you’re like the foodie version of Belle now, lol!! 😉 It was so cool to watch the videos and kind of see your family in life-action and to actually hear/see you…I can imagine that would be weird for you, but thanks for sharing…it was so much fun! Hi Hannah! Thank you so much for this kind comment! You have me smiling from ear to ear!! Oh and I will try and make more videos!! You know how much I love Bob’s!! 🙂 it is my favorite! THANK YOU! Have a great weekend! THANK YOU so much!! Hope you have a great weekend! TIEGHAN! YOUR HOME IS BEAUTIFUL! YOU ARE BEAUTIFUL! YOU LIVE AN ENCHANTED LIFE! THE GOATS ARE THE BEST! THANK YOU, Sherry!! Have the best weekend!! Absolutely stunning! That kitchen looks like heaven. And crazy question… that floor is gorgeous! Poured concrete? Whatever it is, it’s awesome! HAH! I HATE, HATE, HATE that flour. I can’t believe I forgot to mention it actually. It is poured concrete. The people I had doing it majorly messed up not only pouring it, but coloring it too. The color is actually peeling up. BUT good news is that it is concrete and I can do pretty much anything to it….so it takes a daily beating. LOL! Ahhh!!! This is so exciting and I am insanely jealous! That video is so cute – it’s obvious how much your brothers adore you:) You did such a beautiful job on the renovations! I watched the video and read the article but what is so amazing is YOU got it all together when you were 20 years old—-wow. You can see the pride in your brother’s faces—-they are so proud of you. Tell Red your bedroom is just right–lol. Haha! I am actually not 20 anymore…just turned 22 actually Tuesday! Love it all, especially the pantry! Looking forward to hearing about kitty & all the open shelving…. Thank you so much! I enjoyed your photo’s, the write up and appreciate the hard work that has been put in towards the love that you share with us all in your creative recipes, looking forward to the book in 2017. Your a very special talented woman whom I’m sure I will see much more of as you move forward in your career. Congratulations! Hi Hanna! I didn’t really have a say in my light as the building itself was already here. I did really want north facing windows so I made my photography room on the north side. Hope that answers your question and let me know if you have any others! So gorgeous, Teighan! Love the space, your kitchen countertops are the prettiest and your open pantry is seriously my dream! Aww, thank you so much!!! It really means a lot, Laura! Hope you have a great weekend!! Took note of your comment about the double oven. I’ve been thinking of the same. Appreciation to my father who stated to me concerning this blog, this website is in fact awesome. GORGEROUS TEIGHAN!!!!!! I love it. The barn is so simple, clean, and open. I am so glad you have such an incredible space for your cooking now. Thank you so much, kristen! It means a lot! Have the best weekend! Everything is really striking — love it (including the horse head). That has to be the most beautiful view from a bathroom window I’ve ever seen. Congratulations on finishing it up! I have a door recommendation for you if you’re still looking for unique exterior doors: Brian at Mendocino Doors. 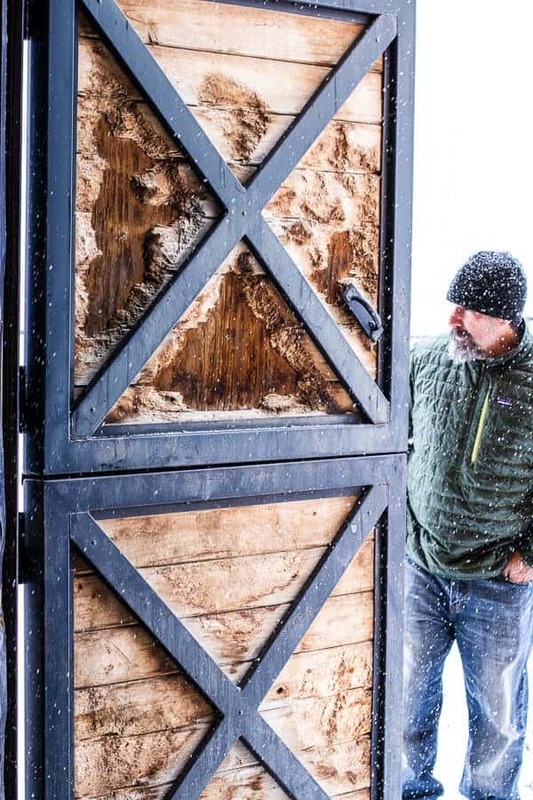 He makes amazing doors — but he does it on his own with one assistant, so his lead-time can be months long. He’s in Northern CA but ships everywhere. However, there has got to be a guy like him in Colorado, too! Also, thank you SO much for the recommendation. I will so look into that. Have a great weekend! Such a beautiful space!! Well worth the wait. Always focus on the blessings! Can’t wait to see all you create here! Thank you so much, Donna! Hope you had a great weekend! I am so incredibly proud of you! And you aren’t even my daughter!. What an amazing and accomplished young woman you are! You have a bright shiny future. Best, best wishes. And I adore your home!!! hehe! Thank you SO much, Patty! That honestly means so much!! Oh my goodness! What a fantastic space. All your patience and hard work has definitely payed off. Enjoy! I’m in awe! Well done! Truly inspiring! Thank you SO much, Robin! Hope you had a great weekend! WOW Tieghan!! Sooooo amazing! It is like the PERFECT food bloggers house! Sooo much gorgeous natural light and THAT PANTRY! Just amazing!!! Congratulations, you surely deserve it! XOXO! Hehe! Thank you so much, Sophia!!! It means a lot! Omg, that pantry!! Amazing! Your house looks beautiful, congrats on getting it all renovated. THANK YOU! Hope you have a great week! Congratulations on such an amazing accomplishment! Honestly, it’s like a dream 🙂 I couldn’t be happier for you and thank you for sharing this with us. Loved the video too. It’s beautiful Tieghan!!! Oh wow! Thank you so much, Katerina! It truly means a lot! Hope you had a great weekend! OH MY GOSH!! Everything is so beautiful!!!! I LOVE it so much!!! This is going on my list of dream homes!!!!! 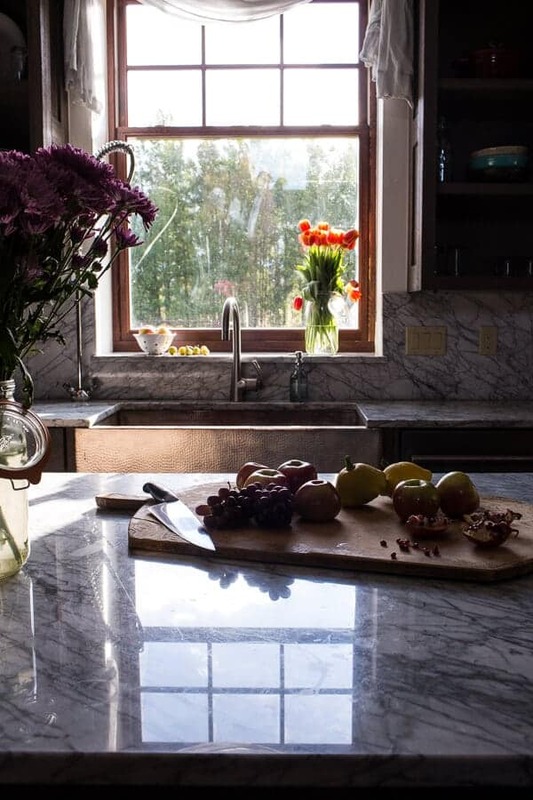 Kitchen pictures are so gorgeous, and those flowers are the PERFECT touch! WOW! Thanks so much, Rita!! 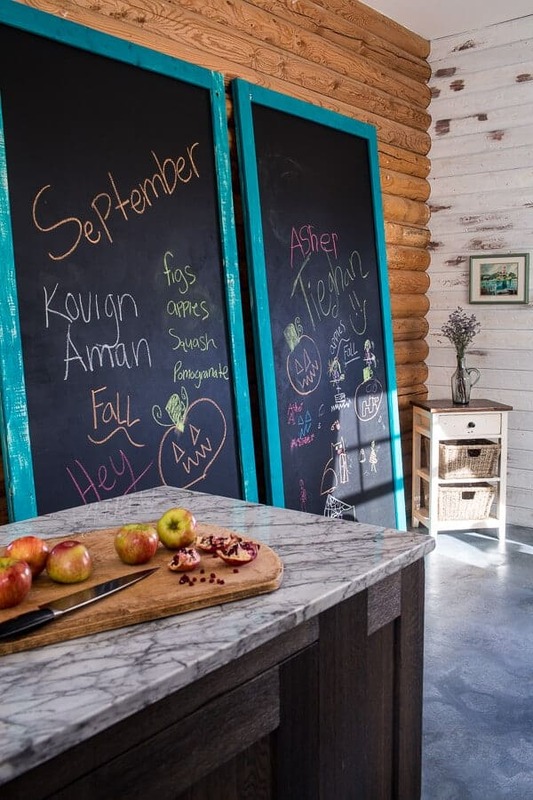 I just found your blog and love the Barn and your style! Where do you live to get so much snow? Thank you so much, Breanne! I live in Colorado. Oh my goodness Tieghan! Your home is absolutely stunning! It looks like you put a lot of time and hard work into getting it just the way you want it. The kitchen is unbelievable! I cannot think of someone your age who deserves it more than you. Congrats! I can’t begin to put into words how beautiful this is and how jealous I AM! Truly though this barn is beyond everything I could imagine for a work and living space. So rustic, bright, and peaceful. Congratulations! Oh wow, thank you so much!! I hope you had a great weekend! Great work, and gorgeous photos! You will love living there once everything gets all settled, and soon the serenity of your new space will outweigh the stress it took to get there. Congratulations! Thank you so much, Megan! I hope you have a great week! CONGRATULATIONS TIEGHAN!!! I am absolutely green with envy at your new barn home. My partner and I DREAM of having our own little plot with a barn home on it one day…I’m sure it will happen, just not for a while yet. We have a few other things to get done first (i.e. get married next year!!). 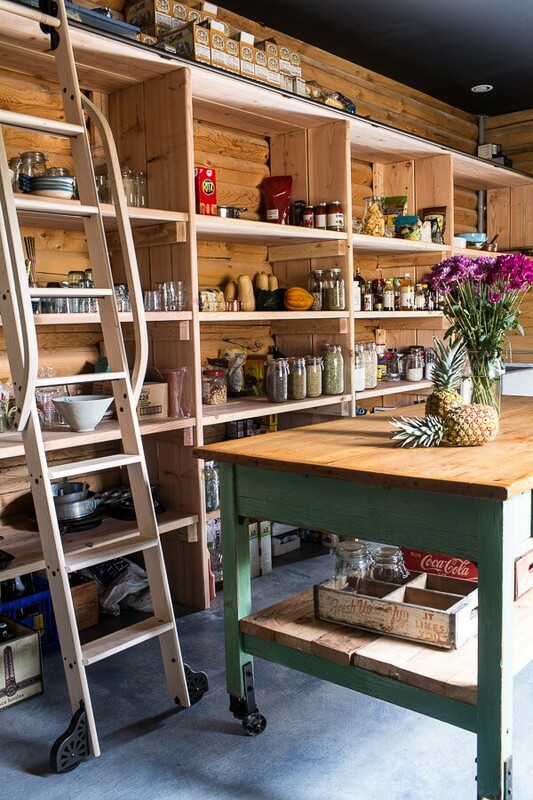 Absolutely adore your rustic/industrial style, and I LOVE open shelving in kitchens, that’s definitely going to be a must for us when we get around to it! I love reading every single one of your posts, and have already made several of your recipes – 2 this weekend actually! We had the banana French toast muffins for breakfast this morning, and I’m making your cheesy polenta turkey pie (but using chicken) for dinner tonight! Keep the posts coming, you are doing superbly. OH and I hope you enjoyed Dinner! I loved this post, and the space looks fantastic now it is finished, congratulations, and I hope you get the updates done okay. And don’t worry, I hate watching myself back get interviewed, too! Congrats!! What a year for you! Now you can focus on your BOOK, which is already on my gift list for all weddings, birthdays, and holidays for the foreseeable future! Thank you SO much, Amber! Your comment is so kind and making me smile! Hope you had a great weekend!! Breathtakingly beautiful! How wonderful to have it finally pulled together. Enjoy! LOVE all the pics of your barn and the video. The article from the Colorado Homes Mag was good also. CONGRATULATIONS on all you have accomplished. You are very BLESSED. Congrats!! I have been following your blog for a long time and just LOVE all your food and photos. I was so looking forward to the barn post and it is beautiful! Tieghan – wow! Just wow! Everything is so gorgeous. 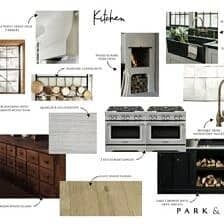 I think my favorites though, are your bedroom, those pantry shelves with the ladder and your rolling island, your counters, double ovens, and all the light that comes in those gorgeous windows and your breathtaking views. So basically everything 😉 I simply love your style. You work so dang hard, you deserve it all girl! Loved the peek into your home and daily life and lovely family! You don’t mind if I just move right into that pantry, do you? K cool. 😉 Your space is just gorgeous, Tieghan! Congrats! So happy for you! That pantry though. Swoon. Thank your brothers for the video! Aaaaaahhh! So excited to see this. Have been waiting with baited breath. We are currently building a house many miles away from you (in Ireland) but I have been dying to see these photos for inspiration. I love it. Well done! This is really cool. It’s great to see how successful food bloggers can be. I think the barn is gorgeous. On one hand you’re lucky… but you sure worked for it. I wish I had that much space to store anything – ha. Enjoy it! It is a wonderfull barn/house, wish it was mine. No wonder you can make so beautifull food in those surroundings. So happy for you, Tieghan! It’s a gorgeous place! oh my gawd, Tieghan! Your barn house is gorgeous!!! that kitchen and pantry .. OH MY GAWD. A food blogger’s dream! and I love the video that your brothers did. too cute! Seriously! Such a dream kitchen and pantry. So beautiful. The Colorado scenery is beautiful too! Okay when do I get to move in? It’s beautiful! As someone who lives in New York I really miss seeing a lot of open space and green. It looks so perfect and just exudes warmth and I’m sure reflects the closeness of your family too. LOVE that you kept the horse head. It’s wonderful!!! Hope the door gets sorted soon. But gosh is it all ever so lovely. haha! Thank you so much, Caroline!! Congratulations on the new barn! You deserve it from all the hard work! Thank you so much! I hope you have a great weekend! Ack, that chandelier though! I think you did an amazing job and should be proud of yourself. There will always be things you’ll want to change, but know it’s very beautiful. One suggestion I would make would be to get some edison bulbs for the bathroom light fixture, fluorescent bulbs don’t look the nicest, even regular bulbs would prob look good! Thanks for the tip and kind words!! 🙂 Hope you are having a great weekend! Omg Tieghan, this is BEYOND gorgeous!!! I am so happy for you, this home looks like such a dream! And the town you live in is totally gorgeous too. Ah! Just everything! Aww! Thank you so much, Courtney!! I hope you had a great weekend! I love it! Where is your closet? LOL. I don’t have one…not enough clothes! Man that place looks so dope! Congratulations! Your new home/barn is absolutely gorgeous. So nice to get a little peek behind the scenes. And btw I’m totally crushing over your double oven. Swoon! Thank you so much, Kristen! Hope you are having a great weekend! Move over Martha Stewart & Katie Brown, there is a new Woman in town! Your blog, food & pictures leave me speechless. Your home has sent me over the moon. You have have good eye & spirit for it all. Your home looks inviting & loving! Congratulations on your home! I look forward to watching you grow in the Food & Home world! Your recipes have been prepared & served many times in my home. Keep up the video’s! Yes, I too have to ask, when is your cookbook coming out? Incredibly amazing and insanely jealous and awwed by your beautiful yet minimalist barn house. Can’t wait to see what else comes out of your kitchen! It’s BEAUTIFUL! Well done and best wishes. I do like your barn house so much and how it all came together. Can you tell your readers what the white wood walls are? They are the ones that look like aspen tree bark. Any info on how to get them would be appreciated! Those are just beetle kill wood that have been painted white and distressed. Hope that helps and let me know if you have any other questions. THANKS! I tried to reply to your post about the beetle kill walls but it wouldn’t let me leave a note that way, so I’ll post it here — just wanted to say thanks! But I have one more question, how did you distress the paint? Did you paint and then wipe off the paint as the way to distress it (and is the beetle kill board stained at all prior to your painting it?) or did you apply the distressed look, as in with a glaze…or? 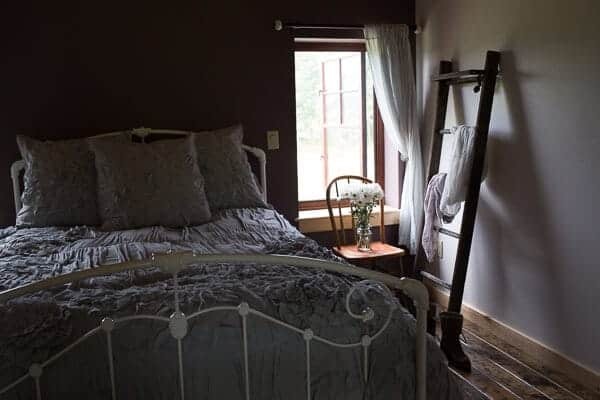 I am remodeling my vintage log cabin and this look will be perfect for my master bdrm – definitely going to steal it!! Thanks in advance and I’m sure your new place will bring continuing inspiration for you! Ha! Never mind, I see that the reply does work. I am sorry, I wish I could help, but I had painters do the distressing. I do think you can google it though and come up with some pretty good DIY. Thanks again! Congratulations on your beautiful barn! It looks amazing and I can only begin to imagine how much work went into getting it that way but it was well worth all the efforts. Well done 🙂 The “cribs” video is brilliant and such a good idea to do it. Very MTV-esque! Thank you so much, Fiona! Hope you are having a great weekend!! Tieghan, the barn is absolutely beautiful!! Cheers to a new place for you to create more beautiful and taste dishes! Thank you so much, Lisa! It means a lot! The barn is so amazing I am so super jealous! I’m living with my parents at the moment and I 100% agree with needing your own space so I keep coming back to look at the photos of your beautiful space. 🙂 I love love loooooove that rolling table in your pantry, where did you get it?? Enjoy your beautiful home with your beautiful family! Hi Tieghan! 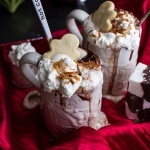 I was looking for some Christmas decorations on Pinterest when came across your page and the looks of your food left me with delight! So I had to check your blog and I read a few posts. 🙂 The food looks fantastic and It’s incredible how professionally and beautifully (and I am sure very deliciously) you cook at your age and how professionally you run your blog and social media pages! Well done girl! The barn looks so lovely! Imagining your big family being there all together makes me want to have a similar place and a family with lots of kids 🙂 The nature looks very beautiful and… ah that snow! What is this town? I subscribed to your Instagram and going to follow your posts from now on. Not sure if I can cook your recipes, I think they are too difficult for me 😀 But I will try I promise! Such a joy to find people like you, so talented and successful! I wish you the best of luck in everything! The pictures of your place make me want to cry – it is SO BEAUTIFUL. The view out of your bathroom window! The space! The wood! The chandelier! 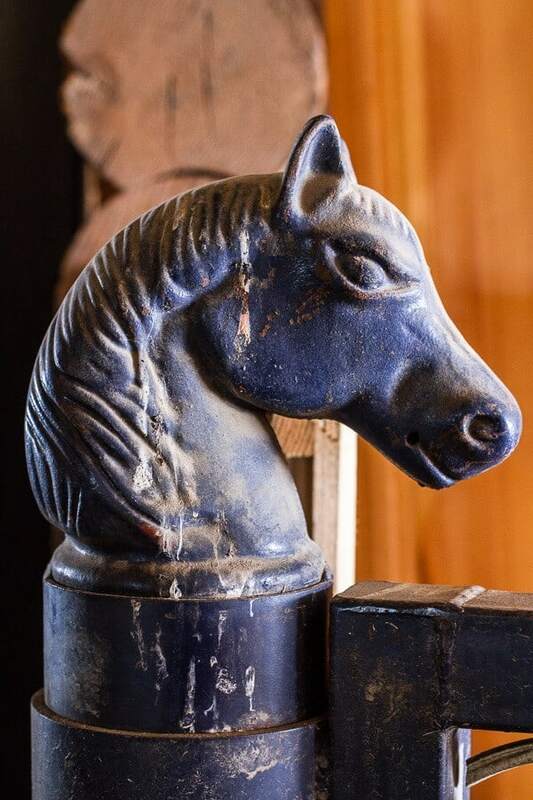 The horse-head post! I finally had time to go through all of your posts about the barn renovation and wow. What a lot of work and time and effort and consternation, but what a beautiful product. For the record, I know those feelings about “what will people think?” well. I am very close with my family (step-dad, mother, younger sister), and I live in a little two-bedroom suite over the garage on my parents’ big farm property (my mom and I were just talking the other day about how much we love the loft of our horse barn, so who knows what may happen to that in future, ha). After high-school, I travelled in the South Pacific for a few years, then worked full-time for a few years, and have now come to college/uni later than many. I figure a business degree can’t be a bad thing considering my ultimate goal is to work for myself. Anyway, when I talked to her about going back to school a few years ago, my mother and I worked out a mutually-beneficial arrangement where we were both happy, and I am able to go to school. I am in a similar boat as you in that I know a number of people think my family is well-heeled, paying-my-way, etc. even though that is not the case, and I struggle with just focusing on what I know to be true and right with me, and not worry about what others think. There will always be those that just don’t “get it”; I have learned that if I have learned anything in life. For example, some people can’t even talk to their siblings from one year to the next, whereas I could not be closer with my sister. Everyone has their own story. You are incredibly inspiring to me. You make me want to stop talking about it and actually buy the domain name I want and get started developing recipes. You inspire me to finally take some time over my holidays to learn some new tricks with lighting and my camera. My mother and I have talked about renovating a large area of the garage into a commercial kitchen (long counter-tops! two ovens! deep sinks! ); maybe we will actually have a chance to do that this coming year. Thank you for all that you do. Although we do not know each other, I feel a kinship, and I hope you have a delightful holiday with your family (and actually get some time to enjoy a bunch of movies in bed!). Congrats on your new space! It’s absolutely beautiful. I recently moved into the “carriage house” on my parents property. It’s so nice to still be close by but have my own space! 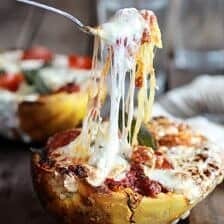 Just discovered your blog and already found recipes I HAVE to try. I love, love, love your barn house so much. I think it is charming and I would like something like it for myself. I actually like the horse head on the stairs, but I have horses, too. Will be checking on your blog now. My name is Naomi and I’m almost 18 years old. I’ve always wanted to start my own bakery in Tetbury. This site is a great help, Thanks! Beautiful home, and the stairs are amazing. I love the horse head and laughed when I read your comment about it. haha! Thank you so much, Laura!! Although I’m not a dark cabinets fan myself, your beautful, light filled, open space, and light countertops can handle them and they echo the dark color of the staircase. It’s beautiful, as is your entire home. Just reading this now but omg you live in a dream land! I was already swooning over the interior and then i caught glimpses of what lies outside the windows and I died. Tieghan, I am supremely envious! A magnificent vista and a gorgeous home! 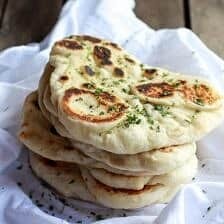 Love your recipe posts as well. Awe!! Thank you so much! Have a great weekend! I love your barn/home! beautiful area. I’m south in NM. Time for a change for me and possibly my adult kids. I’d much rather be living in area like yours w snow, trees, barn animals, etc. One day. But I came across your site for this for a recipe Spinach&Artichoke Corn Fritters w Brie etc.. Lovely recipe I will be using this, probably a tweak w/o brie, use what I have, just another cheese, and greek sour cream topping similar. when I have time I will take a better look at your construction project. It’s very inspiring. I came from a family of builders back on Long Island, North Shore, NY. Hi Donna!! Moving can be so big!! But so rewarding once its all said and done!! I hope one day you get to check out somewhere new☺️ Thank you for the kind words!! oh and Pinterest of course I have. I had seen these great pictures awhile ago (what a gem!) but just saw the video now. TOO DAMN CUTE! Such excellent, not to mention handsome, tour guides (those are your brothers, I assume?) and those goats! Loved all of it it! Keep up all the excellent work, Tieghan (and family!). Haha!! Yes thats my brothers friend Blake and then my youngest brother Red. Thank you so much Marcia! I’m here like, wow, I love love LOVE her photos. 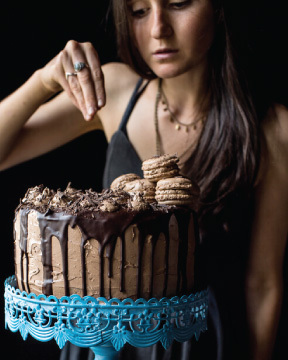 I wonder where she gets her backgrounds from (I’m dabbling in food photography), then I come across this! WOW!!!!!!! You have a whole barn dedicated to food and food photography haha. No way I can compare, but definitely LOVING it! Looks so amazing, especially your room. All tucked alone upstairs, seems so snuggy! Your place looks lovely, and the view is amazing! I just came across your blog via Pinterest recipes and have been browsing your site. I hope you have many happy years in your beautiful new home. ? Thank you so much! I hope you enjoy the recipes!! upon a recipe of yours and spent a long time reading through and printing several more, and then I started exploring the rest of your page and saw this. How awesome. Props to you! Also, you’re a really great writer, maybe someday you could write a book. Thank you so much!! This means so much!! I hope you love every recipe you make!! I have a cookbook coming out in the fall of 2017! Not exactly A writing book, but maybe someday! (1) With so much open-shelving storage, I assume you don’t have a problem with mice? I have made my house as tight as possible but I live on a couple of acres of land surrounded by trees/bushes and it seems like every year I get a couple. Otherwise I would love to have pantry storage like yours. 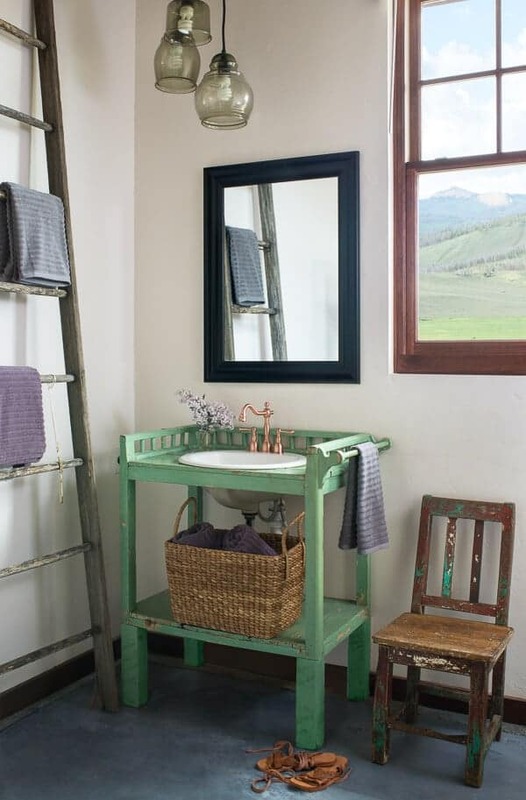 (2) I absolutely love your green bathroom vanity. Did you make that out of a table or nightstand? I have always wanted to try that. Hey Karen!! I actually did have an issue with mice, but then I got a cat and the problem has been solved! My vanity I actually found at and antique store. It is one of my favorite pieces. I’ve been on your blog a couple of times but only recently posted. I noticed some of your recipes / posts go back 3 or more years. Congratulations on a job well done. You are very talented and lucky to do something you obviously love as your “job”. Keep up the wonderful posts and great food. Thanks so much Cheri!! I am so happy I found what I love to do at such a young age! You are amazing! And so is the Barn! Wow, you have created such a beautiful space! Go girl! I adore your posts (mouth watering recipes with stunning pics) and am a big fan! Keep up the amazing work! Awh thanks so much Kipper! So happy you are loving my blog! ? AMAZING. Spectacular! OMG!!! So dreamy. I Love the idea of a family compound. Your taste is impeccable. Awh thank you so much Leah! It looks fantastic!!!! What a great project. You can see the love in every photo. We are still making your recipes here in Nevada and are constantly amazed. So happy for you!! Thanks so much Andrea!! So happy you are liking everything!! Amazing job! Everything seems so cozy! I have been enjoying your page on Instagram for quite a while. Thank for beinging color and delightful dishes into our lives. Oh, and also, when i saw your couch area, i thought that this drawing might be perfect for it. May be a lil small but really your colors. How do i add a picture to my comment? Just discovered your website. Love the barn home. Beautiful! Love the recipes I’ve read so far. Will definitely be making some of them. Thank you so so much! Hope you love everything! Congratulations! 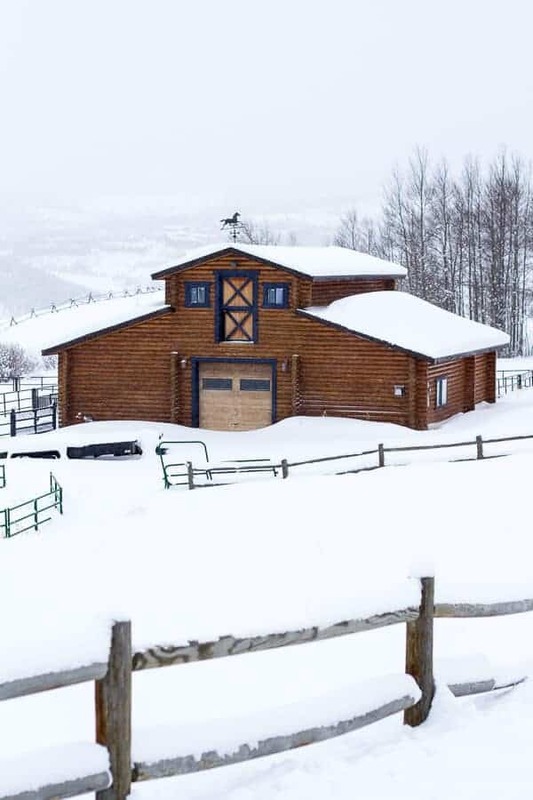 Your barn home is gorgeous. I’m curious how you like the rolling ladder in your pantry. I am thinking of putting one in my kitchen but afraid it will be in the way all the time. Hey marti! The ladder is so useful and i love it…but it’s in my pantry, not my kitchen. Not sure how I would feel with it in my kitchen. BUT i do love it. Sorry if that did not help much. Your barn looks so beautiful! Love the way you renovated it 🙂 Especially the kitchen looks totally amazing! Awh, thank you so so much! It is absolutely amazing and gorgeous! I want one just like it! 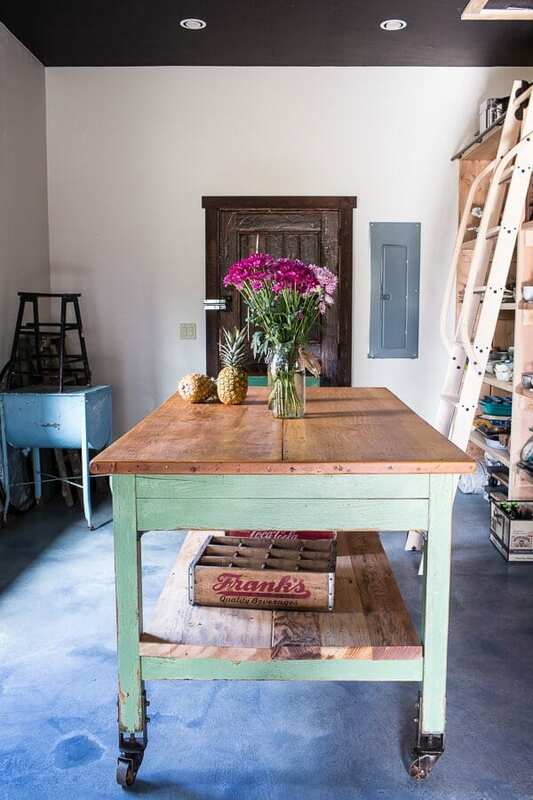 The barn came out so beautifully, but my vote for best space is the….PANTRY! Love, love, love that space. I’d be tempted to move my bed in there and call it a day! Love the shelves, love the ladder, love the island table, and the light is so beautiful there. I have serious envy! What a special home you have…you are truly blessed. Special place for a special lady! Thank you so much, Judy!! You comment has me smiling ear to ear! 🙂 have a great weekend! Your home is absolutely STUNNING – so happy and excited for you and your family! this is gorgeous! do you have your kuign amanda recipe up anywhere? they’re my favorite guilty pleasure. I am so excited i found your website! Your recipes sound delish and the barn? I am in awe and in love! Great luck to you and the business and I cannot wait to make the noodles tonight!!! Peace y’all! so jealous! I love your barn/home.this I could live in quite happily! 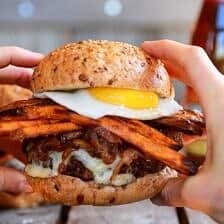 your recipes are fabulous, I’m having so much fun with them and the husband loves to eat so he’s happy. I am so glad you like my recipes, thank you Katerina! Is the video still available? I couldn’t find a link but would love to see it. I have followed you for a few years now and was so amazed when I realized that your brother was the gold medalist I saw last week! Congrats to your amazing family. The decor is very nice and elegant. HI! I am so sorry, I do not know the paint as that table was found at a vintage store. wish I could help. Thanks for the kind words! Echoing Sandy’s comment from February, I recently stumbled upon your site and love it! I was really excited to see the video your brother’s made, but it doesn’t seem to be anywhere? Wondering if there’s a broken link somewhere. Congrats on your new studio space also, healthy boundaries between a work space and home is important! Thank you so much Kim! I am so glad you are enjoying my blog and I hope you are loving the recipes! So, so cozy and beautiful! Wish I lived here! Love your recipes and everything about you! That is so sweet Ann! Thank you! Hi- how may I view the video your brothers made? I didn’t see a link or anything I could click on. Thanks! I was looking for blogs about barns and found your post and I can say that hard work always pays off! Your barn turns out great! I like the photos!